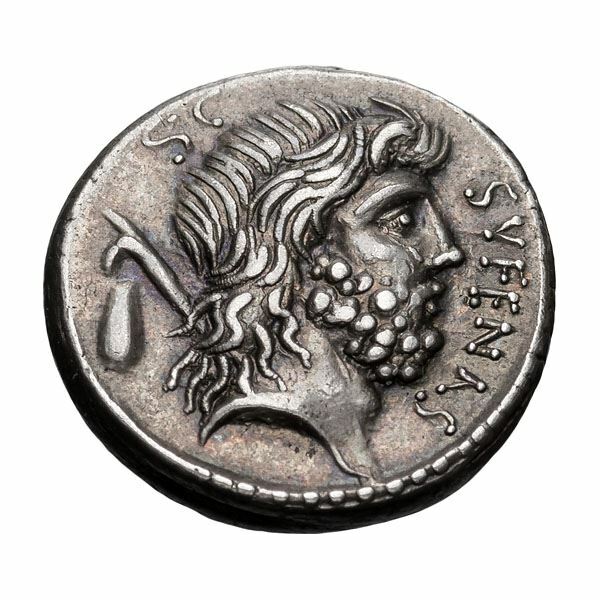 M. Nonius Sufenas was one of the moneyers for the year 59 BC. He was later Praetor in 55 BC. Gens Nonia was a plebeian family at ancient Rome. Its members first appear in history toward the end of the Republic. The first of the Nonii to obtain the consulship was Lucius Nonius Asprenas in 36 BC. From then until the end of the fourth century, they regularly held the highest offices of the Roman state. The cognomen Sufenas apparently refers to the name of a town which can no longer be identified.